Rear-end car crashes are among the most common types of car accidents on Georgia roads. At Gary Martin Hays & Associates, we know that distractions such as texting while driving or even talking on a cellphone often are factors in these collisions. In most cases, the driver who hits the car from behind is at fault and may be cited by police for speeding, driving recklessly or following too closely. If you were injured or a loved one was injured or killed in a rear-end collision, our law firm may be able to help. We know that serious head, neck or spinal cord injuries can result from rear-end crashes, and victims need an aggressive and knowledgeable attorney on their side, fighting for their rights. For over 23 years, Georgians have counted on attorney Gary Martin Hays for aggressive and determined legal representation after rear-end accidents. Call 1-800-898-HAYS right now. Our attorneys know how to put together a solid case on your behalf, one that is designed to get results. And we won't be intimidated by insurance company pressure. 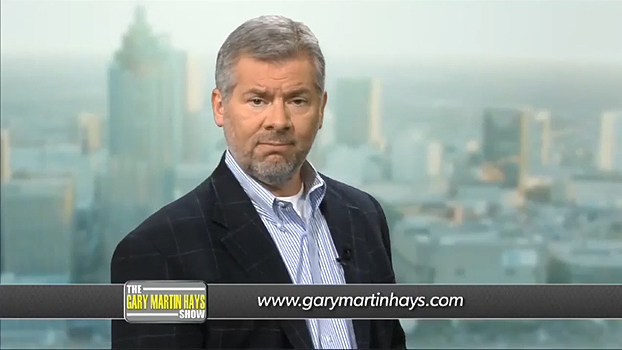 In this video, Gary Martin Hays shares three key reasons to hire a lawyer after a car accident. Attorney Hays also provides secrets the insurance company doesn't want you to know. How do rear-end accidents happen in Georgia? Distracted drivers - While cellphone use behind the wheel has become a major factor in all types of accidents, there are many other forms of driver distraction. Eating behind the wheel, operating the controls of a stereo, talking to a passenger, or gazing at something along the side of the road, to name a few, can all cause rear-end collisions. Reckless or aggressive drivers - Drivers who speed or wait until the last second to come to a stop might cause a rear-end crash. Drivers also sometimes drive too fast for the weather conditions and fail to give themselves enough time to stop. Drunk drivers - People who get behind the wheel after having too much to drink have delayed reaction time. They might slam into the back of a car stopped at a light or a vehicle that has slowed on a highway because of traffic congestion. The cause of your accident may seem clear-cut. You were hit from behind while lawfully stopped at a red light, stop sign, or crosswalk. Maybe you were slowing down in a construction zone or on Interstate 20 during rush hour when your accident occurred. While you might think you can handle the insurance claim on your own, it's not unusual for adjusters or attorneys for the at-fault individual to try to get you to give up your rights or to agree to an unreasonably low settlement. At Gary Martin Hays & Associates, we recognize that it can be difficult knowing what to do after a rear-end car accident. Let us help. Contact us today. Our experienced staff can help you cut through the confusion. Call 1-800-898-HAYS for a free consultation, and rest assured you pay nothing until we win your case. Now is the time to act.